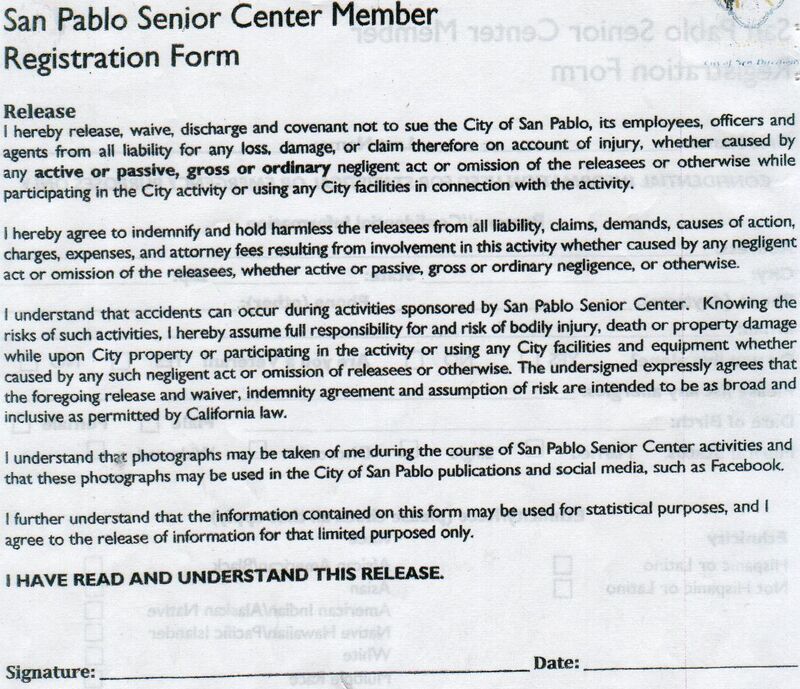 The City Of San Pablo, California is demanding that Senior Citizens waive all rights and agree to be commercially exploited, JUST TO USE THE SENIOR CENTER! Membership and registration requirements are new. 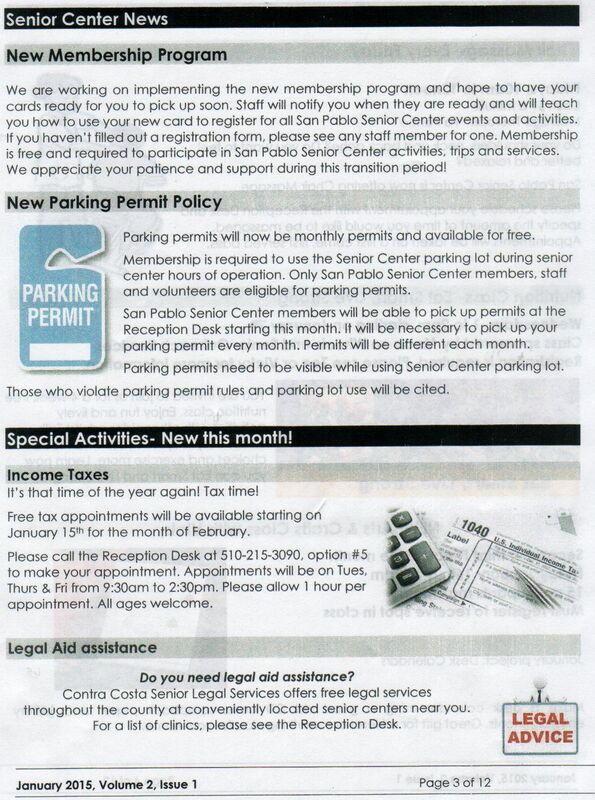 Taxpayer dollars (public funds) are used to run the San Pablo Senior Center and it should be free to use by all senior city residents without restrictions nor a waiver of legal rights. What kind of fascist policies are San Pablo Administrators cooking up? Are we Nazi Germany now? 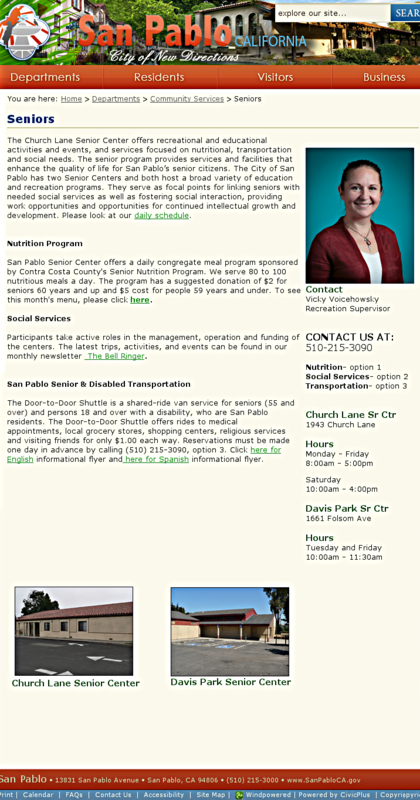 The city’s webpage for the Senior Center. Why should a membership that waives legal rights be required to use city property paid for by tax dollars? Is this Agenda 21 in action? Dominance from cradle to grave.